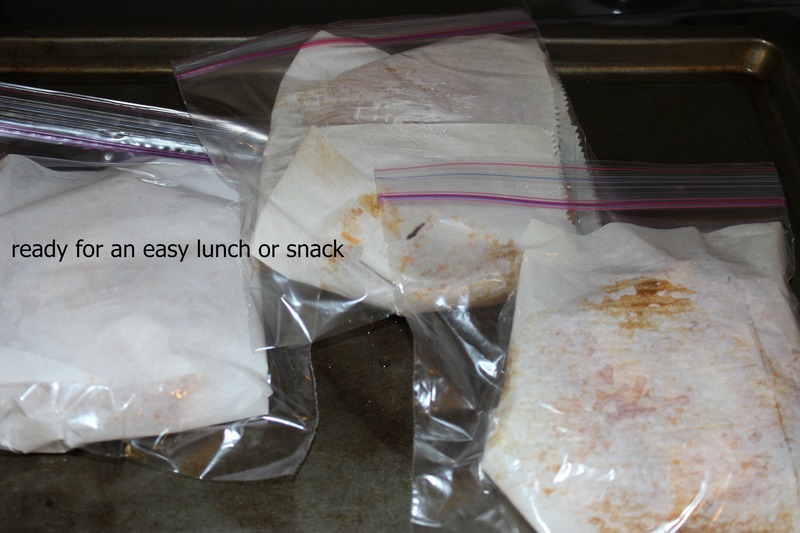 Quick snacks are a must all the time with growing children, but add the warmer weather and those kids get even hungrier. And a house full of teens doing bigger and more things… even more so! Spring has sprung, and the temperature is rising to lovely 60+ sunny degrees most days. A little higher, a little lower, it doesn’t matter. The kids are out the door running, bike riding, heading to the park. And all that fresh air and activity? Makes them hungry. I’ve been pulling out my hair just a little with all the “what’s for…” “when’s dinner” questions. Noon to 6 is a long stretch once the kids head outside so I began thinking about heartier snacks and healthy lunch fillers. 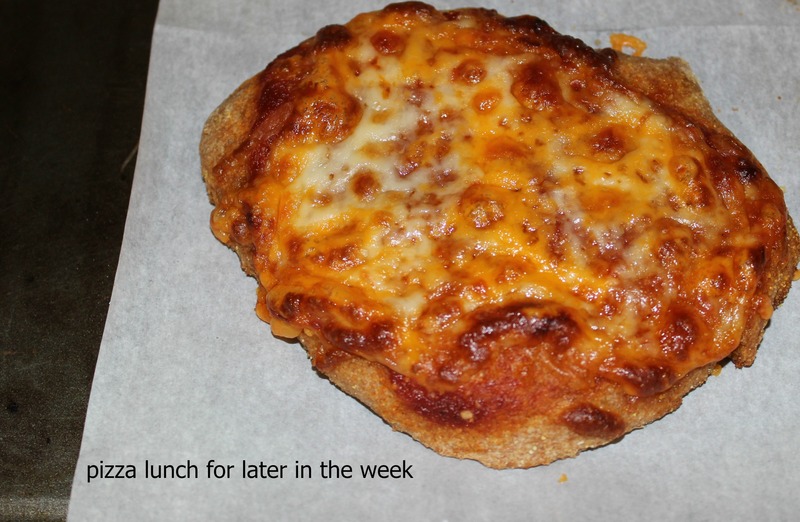 We often have home made pizza for lunch or dinner. Recently I doubled the dough recipe and ended up with enough pizza for dinner, with dough left over. Dividing the dough into 3 portions I rolled them out and made 3 personal size pizzas. These pizzas were then loaded with pepperoni and cheese. 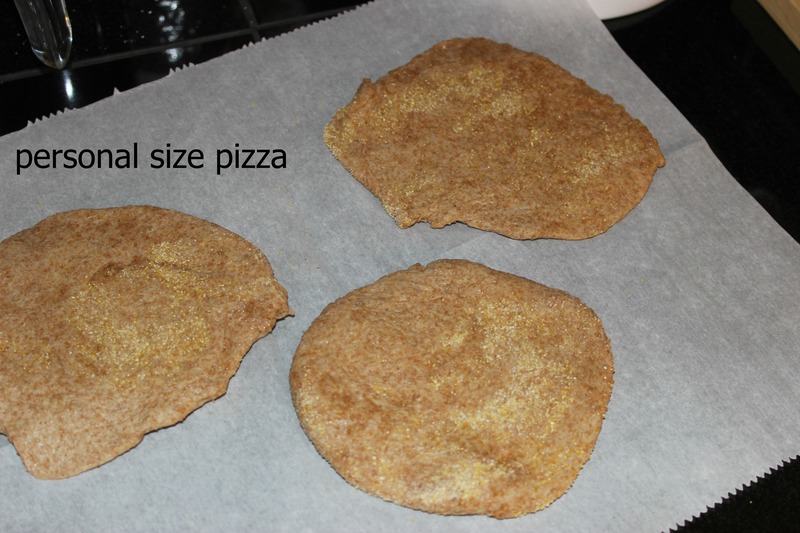 After cooling, each pizza was wrapped in parchment paper and slid into a quart sized ziplock bag. The next day when people wandered into the kitchen looking for something to snack on, I pointed them to the fridge in search of those bags. The pizzas were gone in a snap, but they were a hit! One or two heated the pizzas, the other ate it cold. So I do plan to take a few hours in the next week to make up a double batch of dough and turn all of it into mini pizzas. Usually I put things like this into the freezer, but I really doubt that is needed or helpful in this season. The turn over rate in our fridge is pretty high! This is the recipe I currently use for pizza dough. Normally we have bowls of chopped bell peppers, black olives and green onions, as well as pepperoni, turkey or ham to use for toppings. For sauce I often use Classico marinara sauce, a jar goes a long way in pizza making! This sauce is often on sale and when it is I stock up. I’m looking for more fresh ideas for hearty quick snacks and simple, healthy, filling lunches. The house is now full of strong, active teens and while they don’t eat a lot at one time, they do wander into the kitchen OFTEN looking for something to eat. Surely I’ll get back into the groove, but for now, I need some ideas! What ideas do you have for simple, healthy and filling snacks for these warm weather days? 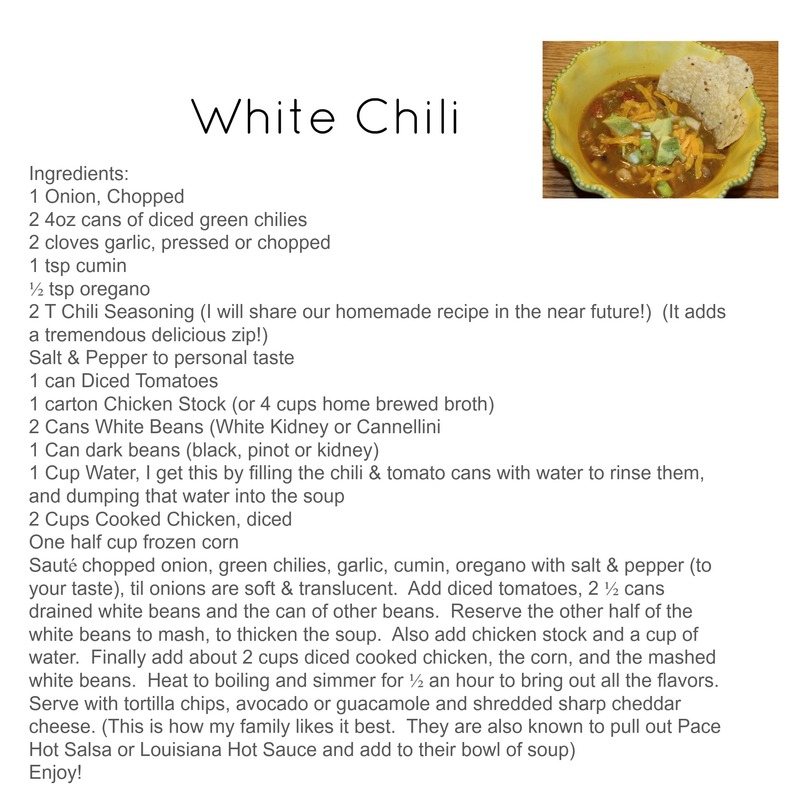 White Chili has become a family favorite, or at least a favorite of the ladies of the home! My hubby is a beef guy through and through, but he does enjoy this chili with a large dose of Louisiana Hot Sauce! Beef or not, we are a beany family, hee hee. Since being treated to this new to us spin on Chili by my sweet sister in law, we’ve put it into our monthly rotation of meals, and of course changed it up a little. Here is the recipe for the homemade Chili Seasoning. Let me know if you try this recipe and what you think of it. I’d also love to hear what others top their chili with! 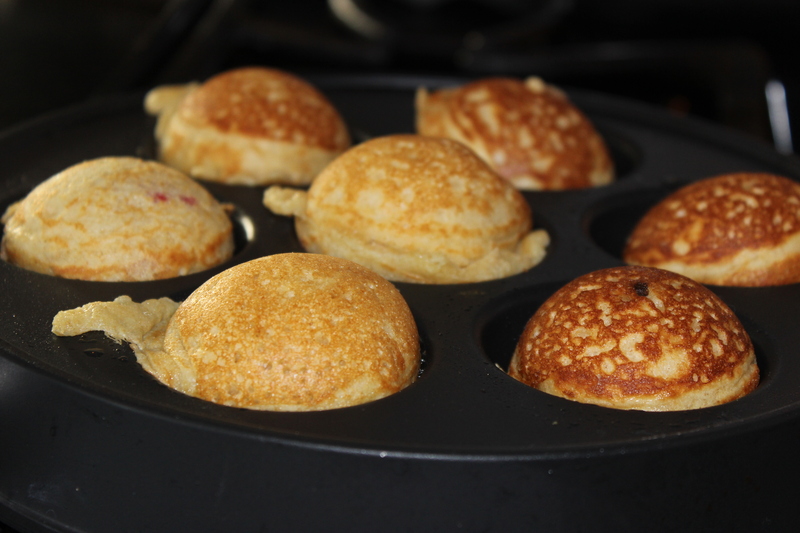 Ebelskivers, Too Fun to Keep 2 Myself! So, my kids and hubby always spoil me! Christmas is not about the gifts, but my family knows that my love language is gifts. And it’s not about expensive or “what I want.” It’s more seeing creativity blossom in each of them, and then having them share with me!. Talk about a fun gift. My oldest daughter is a creative cook and has lots of fun ideas in the kitchen. She sent us the Ebelskivers cookbook and the pan! 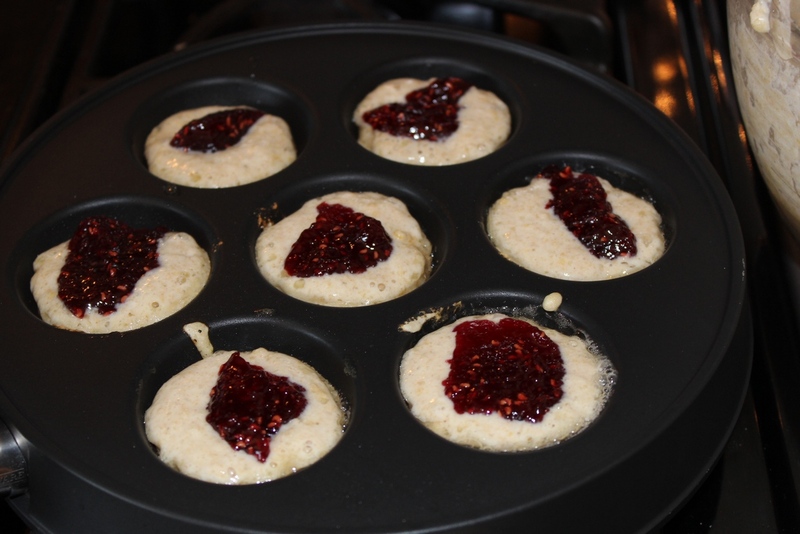 The first morning, I made the Ebelskivers with raspberry jam, simple enough. My family thought they were GREAT and we started discussing all the options we could think of. The next morning I pulled out raspberries, blueberries, Brie and a new cheese product, Boursin. 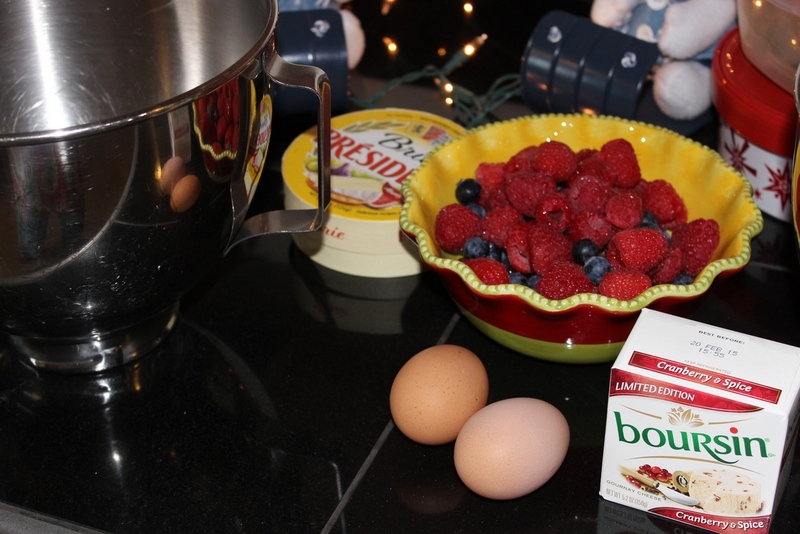 We already knew that Brie goes nicely with raspberries, but it was our first time trying Boursin. I received the Boursin as a free review product from Smiley360. You can see it there in the picture. It was rather crumbly, but the taste is nice and mild. 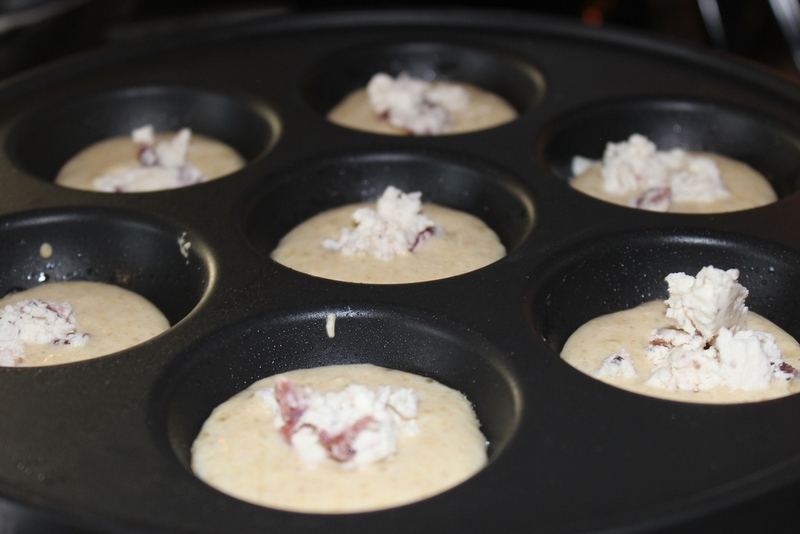 After the holidays I think I will try making less sweet/fruity Ebelskivers and try to make some savory. We also have Boursin garlic & herbs and a pepper variety. 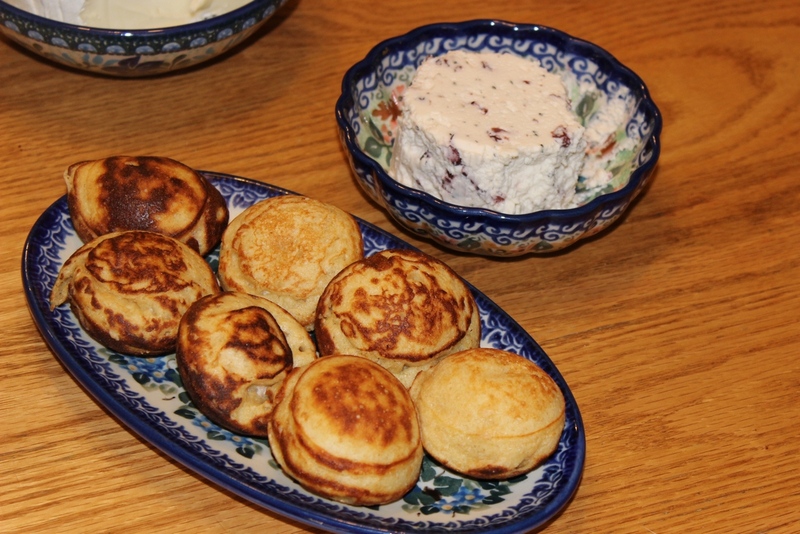 All in all, I have to repeat, Ebelskivers with fruit and cheese is 2 Fun 2 Keep to Myself. It is delightful to have a versatile variation on a old favorite! Filled Pancakes, 2 thumbs up. 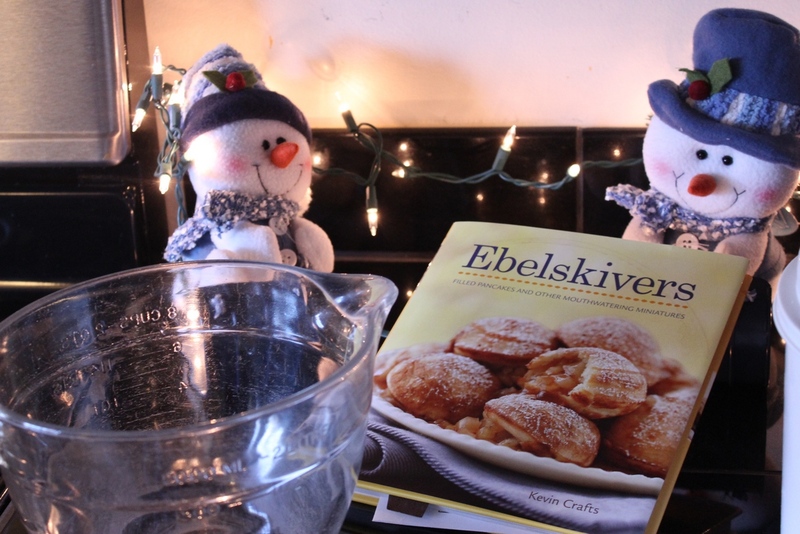 Thanks to Nikki for the Ebelskiver gift and to Smiley360 for the introduction to Boursin! As usual, I am a little behind the curve, ha! During our fall break road trip I downloaded and listened to Grocery University by Carrie Isaac. This audio course has been around for some time and has even been re-released by Money Saving Mom, but as I said, I finally got around to listening this fall. As a seasoned mom and homemaker, I have practiced many of the things shared in Grocery University . But I was encouraged and inspired as the miles clicked by and I listened. It is good to have a refresher from time to time. And in the past year, as life has gotten a little more complicated, meal planning, coupon clipping and deal shopping has definitely taken a back seat! I was inspired upon arriving home to pull out the coupon box and step back into more intentional meal planning and coupon shopping. Another benefit to listening to the audio course during that road trip, my 15 year old sitting next to me listening in. We had some good discussion about what refreshed me and what she learned. Seeing as she already is a coupon clipper and uses swagbucks, she was able to make some good connections. She is well on her way to learning the ins and outs of frugal living and managing her money. Isaac recently sold the rights to Grocery University to Money Saving Mom. If you are interested in purchasing Grocery University, you can do so below. Affiliate links are included in this post. If you sign up for swagbucks or purchase Grocery University through By Quiet Waters, I receive small compensation or bonus swagbucks. Tired of Spending Too Much at the Grocery Store? Want to find more ways than clipping coupons to stretch your food budget dollars? See Below for Money Saving Mom’s special pricing for today, August 19! “You don’t have to bust your budget to feed your family! Enter Grocery University: a 2 hour, 19 minute audio course that will teach you everything you need to know about making the most of your grocery budget, regardless of whether you’re new to bargain shopping or have been a super-shopper for years. This original, in-depth course goes deeper than anything you’ve ever seen before and will have you stretching your grocery budget farther than you ever thought possible! I’ve taken years of experience teaching live seminars and developed a comprehensive strategy that’s proven to reduce your grocery budget. And there’s no reading required! If you’ve been wanting to learn about saving money on your groceries but haven’t had time to sit down and read all the websites you’ve had bookmarked for months, this is the course for you – just download the MP3s and listen anywhere! You’ll learn everything you need to know by listening to the series. We celebrated Chica’s 8th Birthday with a Medieval Feast. The preparations for this party started in Canada, before we moved back home. We bought 2 flat sheets from Walmart, made a simple paper pattern and sewed up tunics as part of the theme. The day before the party, Petal Rose helped decorate the castle cake. The whole week before the party, Mae wove floral wreaths for each of us and the guests. Aren’t they beautiful?! Mae and Petal Rose really took part in preparing for this party and for making it a wonderful success! The little blue monster sitting there on the table served as the dragon for the party. He sat on a trap over a fair puppet maiden and the lovely princess knights fought him blindfolded to rescue their friend. When the guests arrived, it was early afternoon and everyone was hungry, so we started with our Medieval Feast. There were Roasted Chicken Legs, Cold Fruit, Veggies, Bread & Butter, and a Pink Lemonade. Each of the girls drew a sword from the stone when they arrived, and recieved their “title”. We had Lady Ice of Cream, Lady Sun of Shine, Lady Lolli of Pop, Lady Razzle of Dazzle, Lady Slice of Orange and Lady Roe of Petal. The Ladies made Coat of Arms to pin to thier tunics. Mae entertained by twisting balloon swords and shields. And we had beautiful time period music playing, that we had found on iTunes. Chica had a wonderful time, esp being back home and being able to celebrate with some good friends. I am so blessed by this little surprise child and enjoying who she is growing into more everyday. Chica is a fireball of delight! Mae and Petal Rose really took a large part of the planning and preparing upon themselves. It is exciting to see how able and willing they are to help, and how creatively they can do it!